Australia’s National Safety Agency (NSA) has built a mobile command centre that overcomes interoperability problems which have historically hindered coordination between different public safety and law enforcement bodies during major disasters. Communication among different public safety agencies has been a problem throughout the world in emergencies, including 9/11, due to a lack of interoperability between the variety of radios used by public safety in the field. 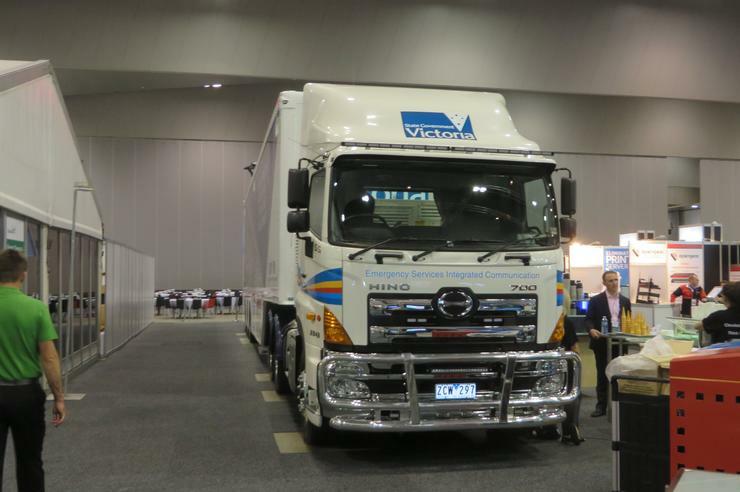 However, the NSA – an Australian not-for-profit R&D organisation for emergency management – told a media briefing at Cisco Live that it can patch different types of radios using a truck and a mobile app that can run on any smartphone or tablet. The Emergency Services Integrated Communications (ESIC) vehicle packs technology from Cisco, HP and other IT vendors into a 14.8m trailer. It has a satellite and can also connect to 4G LTE and 3G wireless networks from any carrier in Australia. During an incident response, a central controller can be connected to police, firefighters and other agencies using the Cisco IP Interoperability and Collaboration System. The controller then acts to patch the different communications devices together. The mobile app used for communication can be distributed to public safety and citizens alike, and works on any mobile platform. Besides acting as a radio, it is possible to broadcast video through the app to provide richer information about the situation. The truck can even provide its own wireless network in emergency areas. “The aim of this vehicle is to go to an area where we can provide literally all our own communications whether it’s for emergency services or members of the public,” said Des Bahr, chair of the National Safety Agency. The capability is a first for Australia and used by only a couple of other agencies in the world, said Bahr. Development of the ESIC cost about $5 million and involved about 100 people, he said. It took nine months to build, said Bahr. The truck, currently the only one of its kind, is currently in operation in Victoria and the NSA plans to roll out “many more” in the future, he said. Check out our gallery at the top of this story for a look inside the truck. Adam Bender flew to Melbourne as a guest of Cisco.